There’s no denying that fall is now upon us–as we say goodbye to those hot summer days (or in our case here in Seattle, give up on this year’s summer ever actually happening), it’s natural for our tea tastes to shift a little bit. Those vegetal green teas and light, floral oolongs that were thirst-quenching during summer months may not seem quite as comforting when the weather starts cooling off and daylight hours wane. Wuyi oolongs to the rescue! These oolongs are traditionally higher-oxidized and much more roasted than your typical green Tieguanyin and High Mountain Taiwanese oolongs, which means their pure floral notes are rounded–a bit fruitier and accompanied by a robust roasted note, which makes them perfect for cold weather! Coincidentally, these teas are traditionally given a period of several months to rest after processing to allow the flavors to blend successfully, which means they’re drinkable right when fall comes around! We’ve just received this year’s harvest of five different Wuyi rock oolongs–Da Hong Pao, Tie Luo Han, Rou Gui, Old Bush Shui Xian and Shui Jin Gui. Like last year, we sourced these teas with a whole lot of help and legwork from our good friends at Seven Cups tea. It’s exciting to get these teas because of the change in season, but also because it gives us a chance to compare a second season of tea with last year’s harvest. 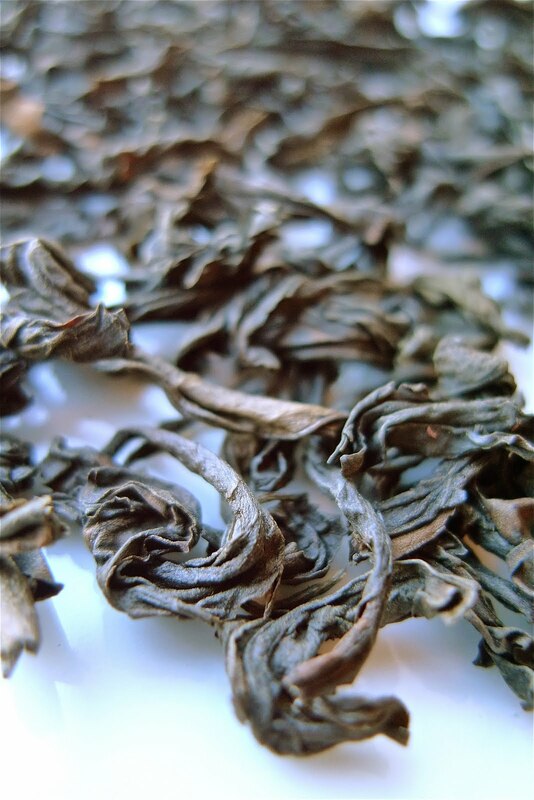 The above shot (photos by Jeannie) of our new Da Hong Pao’s luscious leaves tells the story pretty well–the leaves are dark brown with a few rusty edges, a sign of plenty of careful oxidation and roasting. In the cup it’s dark reddish amber, which is another great sign. Tasting these teas, I was really excited to notice plenty of fire taste–the roasting is still pretty apparent, and that’s the way I like my Wuyi rock oolongs. With a heavier roast, the tea’s quality is less susceptible to deterioration (if it’s well-stored, of course), and its characteristics will continue to develop as time passes. Since we still have a small quantity of a few of last year’s Wuyi oolongs, we’ve also had an opportunity to compare what a year does to a similar tea. Tasting last year’s Old Bush Shui Xian, I was really surprised how much the roasting flavor has mellowed in a year’s time (considering we haven’t stored the tea specifically for aging). The gentle floral notes and mineral aftertaste are more prominent and the roast lingers in the background. The 2010 counterpart, on the other hand, is quite robust with up-front roasting and floral notes that are more apparent in the nose after swallowing. Most interesting, though, is that it’s possible (even easy) to draw a clear connection between this year’s tea and last year’s, despite the obvious differences. Likewise, the Da Hong Pao’s incomparable high acidic notes, Tie Luo Han’s rich broadness, and Rou Gui’s fruity/spiciness all are apparent, there’s just more of an element of fire in the mix. Everyone has their own tastes for oolong. Right now, these teas taste perfect to me. They’ve been in my cup almost every day since they arrived (a very good sign!). 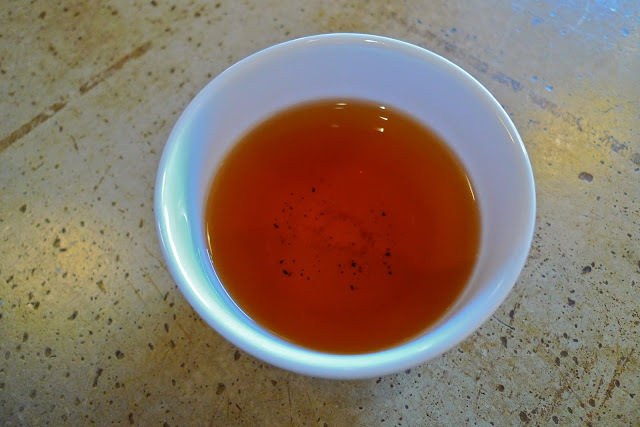 As they mellow out in the next few months, though, I think they’ll become even more accessible and balanced, which is one of my favorite things about Wuyi oolongs–they’re always drinkable, but they’re also always changing.